The Kiwi Super Flyer comes as a kit and is and super easy to install on any Kiwi. The kit includes everything from the maiden bar up, so you only need to undo one bolt when you want to swap. The Kiwi Super Flyer has a huge 27mm (1⅛in) orifice and has awesome new free-flow yarn guides on a sliding hook flyer. 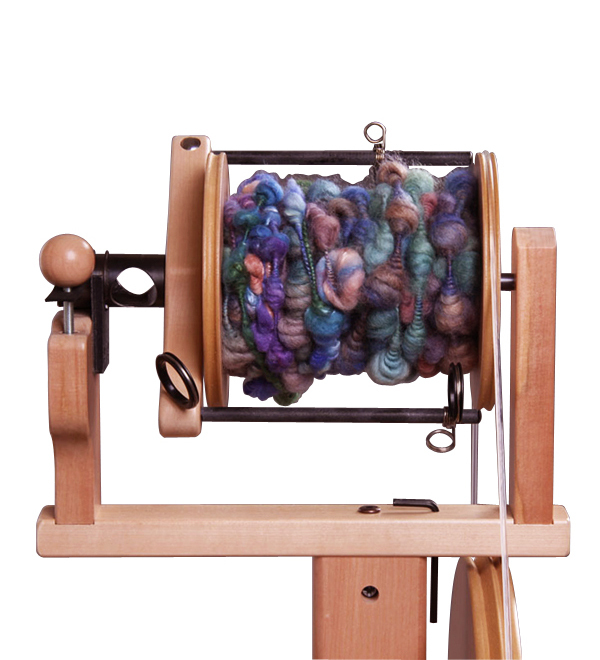 The kit includes 3 super-size bobbins which have a 500gm capacity, so less time changing bobbins and more yarn on the bobbin. Also included is a lazy kate and a new drive belt.